YouTube has announced via an interview with Reuters that they are now serving up 4 billion video views each day on the site. It was less than a year ago that the popular online video site surpassed 3 billion daily views and in 2006, it was only 100 million per day. The 25 percent increase in streaming views comes as Google’s video site is branching out beyond the personal computer. There are now versions of the website that work on smartphones, tablets and televisions, giving viewers even more outlets to get their fix. Nearly 60 hours of content are uploaded to the site every minute compared to 48 hours per minute that hit the site in May. Google acquired YouTube for $1.65 billion in 2006 and has since introduced a revenue sharing program for video authors. Even still, the majority of YouTube videos don’t generate any money. 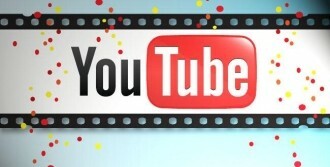 Only three billion videos per week are monetized, says YouTube. In addition to user-generated content on the site, YouTube introduced scheduled programming channels that air original content on the site. It was rumored that Google spent close to $100 million to fund these professionally-produced videos exclusively for YouTube. A redesigned layout has also been launched that is more user-friendly and organized. The new layout consists of three separate sections or pages. The left pane shows your channels and subscriptions, the center window shows recent activity while the right column displays recommended videos based on clips you have previously viewed.